This heart-shaped sub-tropical fruit from Melissa's will leave you pleasantly surprised with its tasteful blend of pineapple, pear, lemon, mango and strawberry flavors. 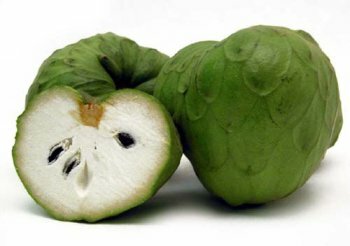 On the outside, the Cherimoya has a pale green, shingled skin that must be handled with care to avoid bruising. Inside, the ivory-colored flesh of the Cherimoya is creamy (similar to a ripe peach) and contains several black inedible seeds. If you have any questions about this product by Melissa's, contact us by completing and submitting the form below. If you are looking for a specif part number, please include it with your message.